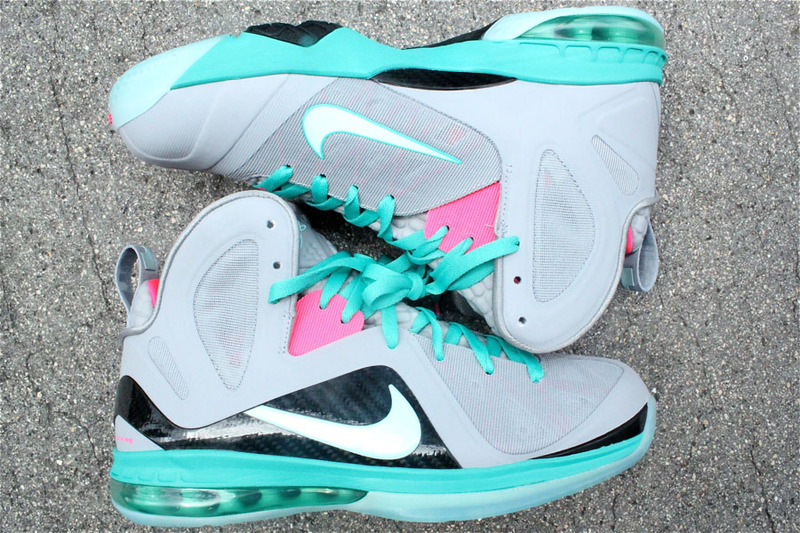 Whether dubbed "Miami Vice" or "South Beach," this Art-deco-flavored Nike LeBron 9 P.S. 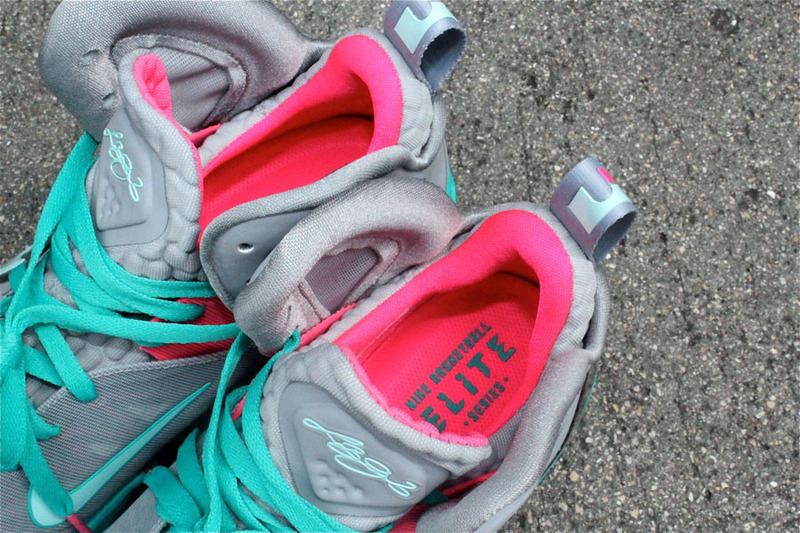 Elite is one of the year's biggest releases and is now set to hit stores in less than two weeks. 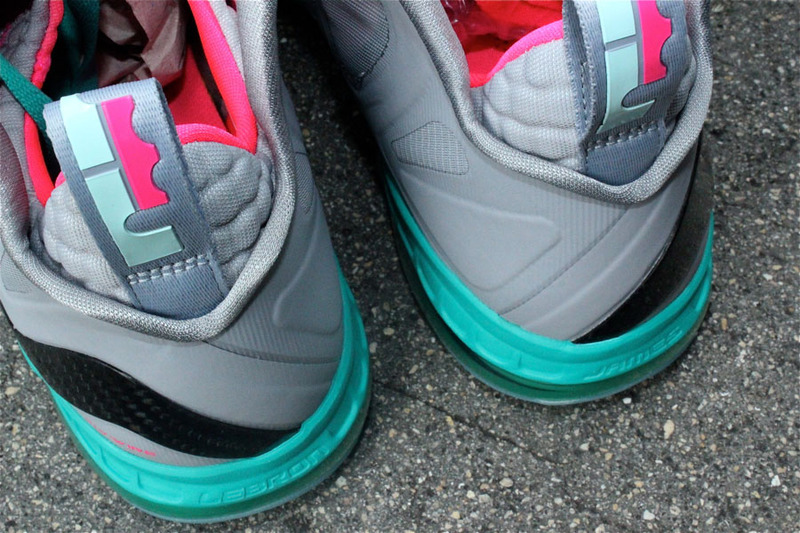 Whether dubbed "Miami Vice" or "South Beach," this Art-deco-flavored Nike LeBron 9 P.S. 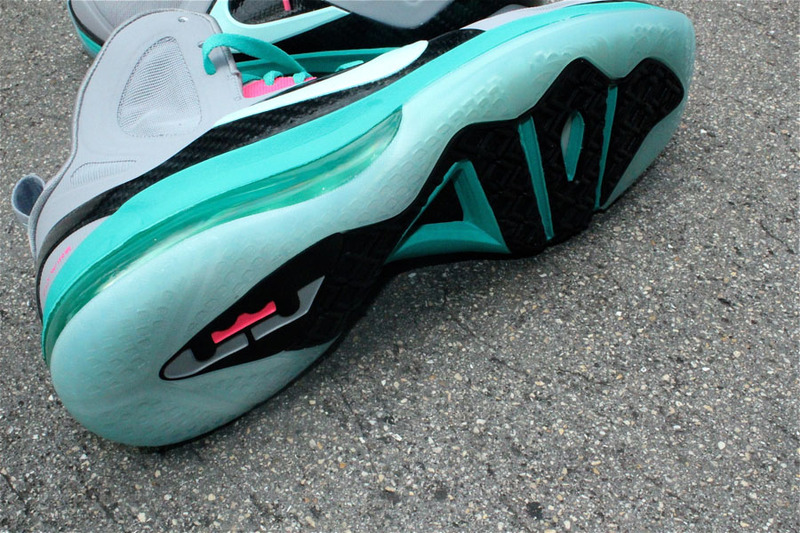 Elite is one of the year's biggest releases and is now set to hit stores in less than two weeks. This time around, the shoe features a Wolf Grey Hyperfuse base with reinforcement provided by a black carbon fiber wing. 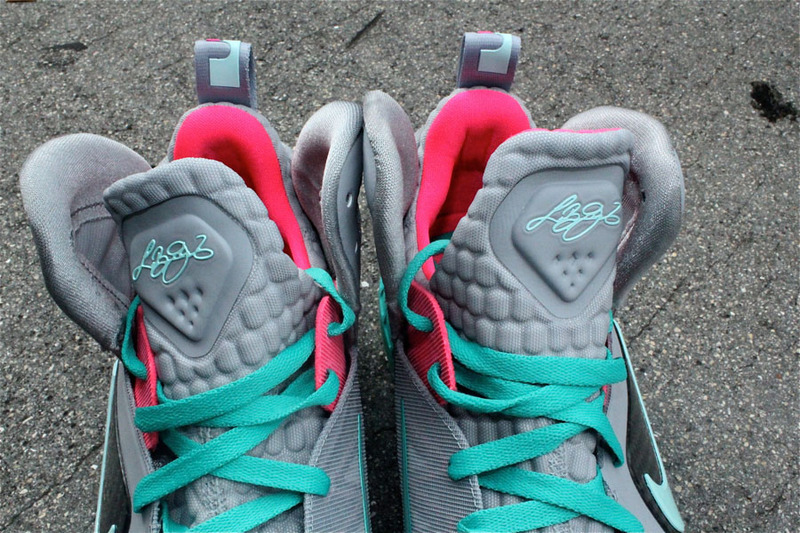 Mint Candy fills in the Swoosh and "LJ" logos, as well as LeBron's signature on the tongue. Pink Flash works the midfoot support harness and inner lining, while New Green appears on the laces, midsole and 180-Max Air bag. 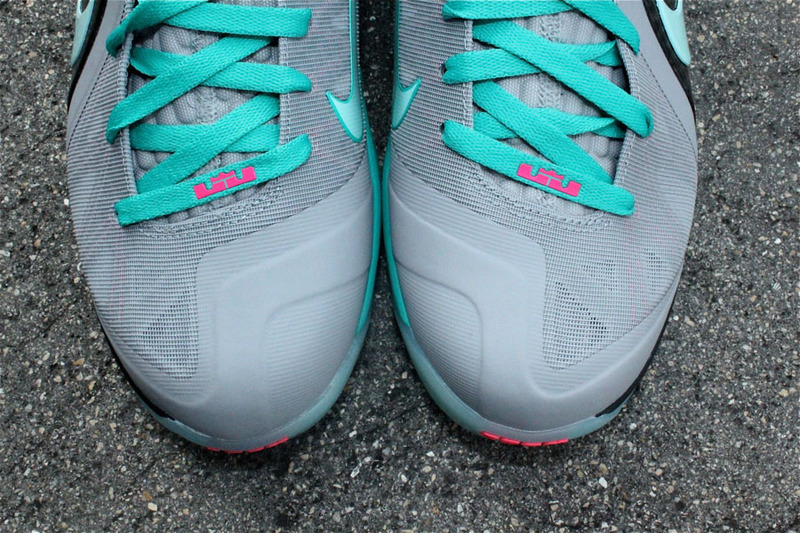 A translucent rubber outsole provides the finishing touch below. 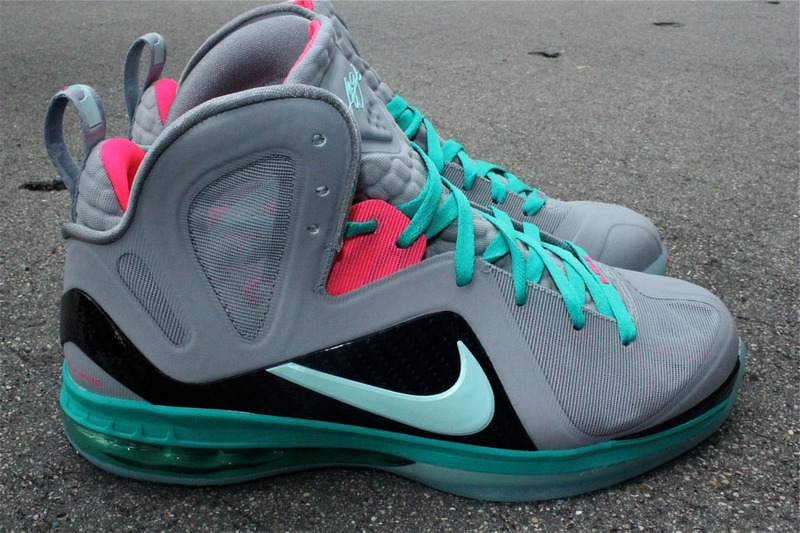 The "Miami Vice" LeBron 9 P.S. 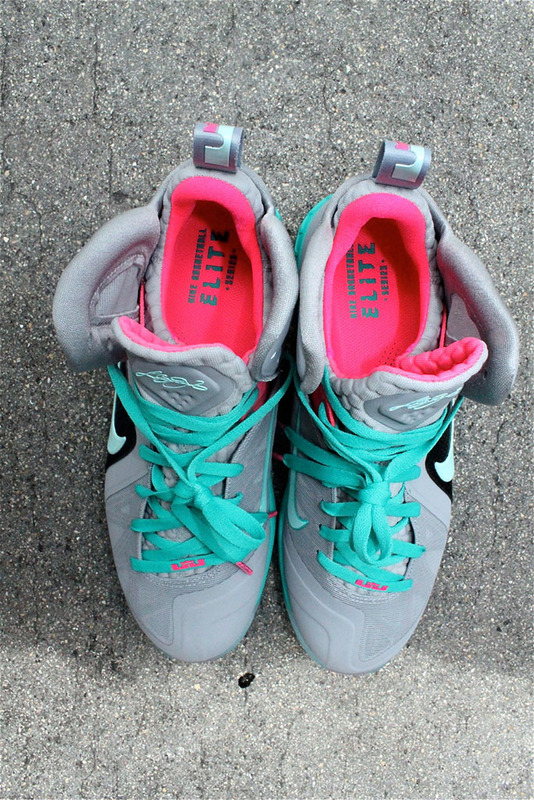 Elite will drop in limited quantities at select Nike retailers like Miami's Mr. R Sports on Saturday, June 2.